Joel Feder March 25, 2019 Comment Now! Set to debut in 2019, the eighth-generation Corvette, known as the C8, will be a mid-engine supercar. That’s a monumental shift from every production Corvette made in the last 66 years. 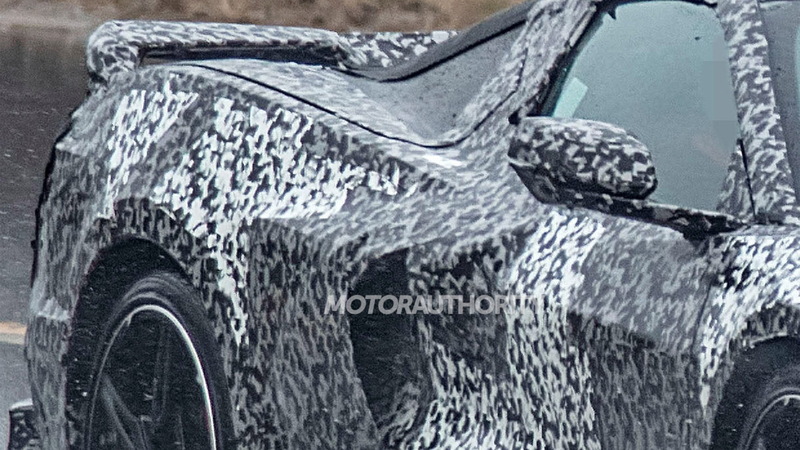 The shape shown in spy shots of the mid-engine Corvette looks like a mashup of a Corvette and a Ferrari. It has a low, short front end, a steeply raked windshield, a fast roofline, gaping intakes both up front and on the sides, and strong rear haunches. 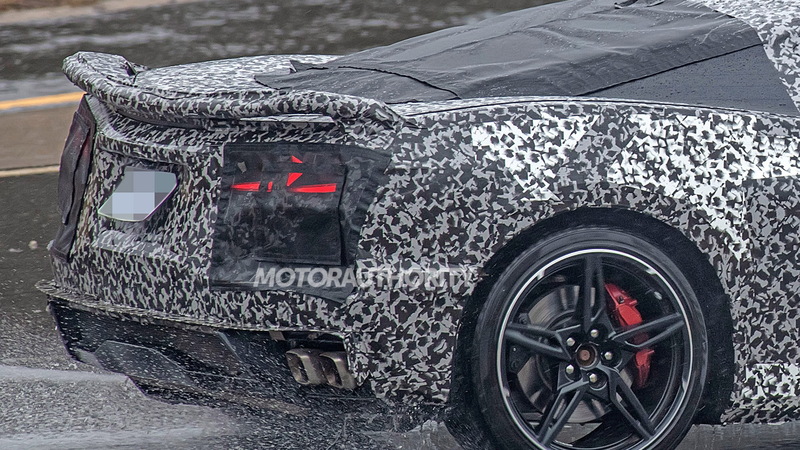 It’s the rear end that looks the most like a Corvette we all know today, and even that’s pushing it. 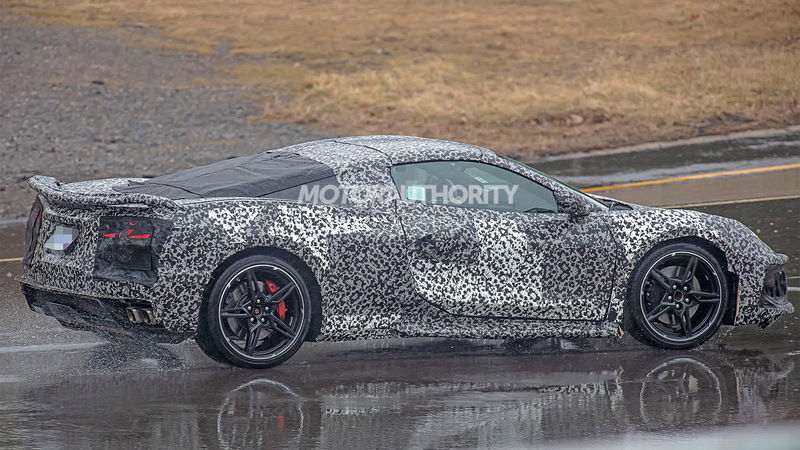 Inside the C8 Corvette will be an evolution of today’s C7, but with more technology and premium materials. A lineup of engines will power the C8, ranging from an evolution of today’s 6.2-liter V-8 with about 500 horsepower to a flat-plane crank 5.5-liter V-8 with about 600 hp or up to 800 hp when turbocharged. A range-topping model is expected to add hybrid technology to turn the Corvette into an all-wheel-drive hypercar with about 1,000 hp. Physics. Even though the C7 Corvette has a balanced, front mid-engine design, GM engineers determined the limits of a front-engine, rear-wheel drive layout in a production car have been reached. With that in mind, Chevrolet moved to a mid-engine layout for the C8 to unlock more performance and better driving dynamics. While the C8 will be the first production mid-engine Corvette in history, it’s not the first time the idea has been proposed. Back in 1960, the father of the Corvette, Zora Arkus-Duntov, built a number of mid-engine concepts for testing. The first was named CERV (Chevrolet Engineering Research Vehicle). In the 1970s, Chevy produced the XP-880 and XP-882 concepts. The latter reportedly almost made it to production as the 1973 Corvette. It didn’t. Arkus-Duntov felt the Corvette needed a mid-engine layout to be competitive visually and in terms of performance. Apparently, it took until now for the decision makers at Chevrolet to agree with him. The discussion that the Corvette nameplate should become its own family, or even a sub-brand, of vehicles has raged for decades. Why is such a valuable nameplate just one body style, or two, if you count the coupe and convertible as separate choices? Maybe the solution is to evolve the excellent C7 Corvette and sell it alongside the new mid-engine C8 Corvette and expand the lineup. GM trademarked the Zora nameplate in the U.S. in 2014, and could name the C8 the Corvette Zora or just Zora. That would leave room for the current Corvette to carry on, and Zora could apply to the 1,000-hp variant, some cars, or none at all. My likely scenario would go like this: The C7 Corvette and mid-engine C8 Corvette overlap for a year or less while the C8 launches its various versions. 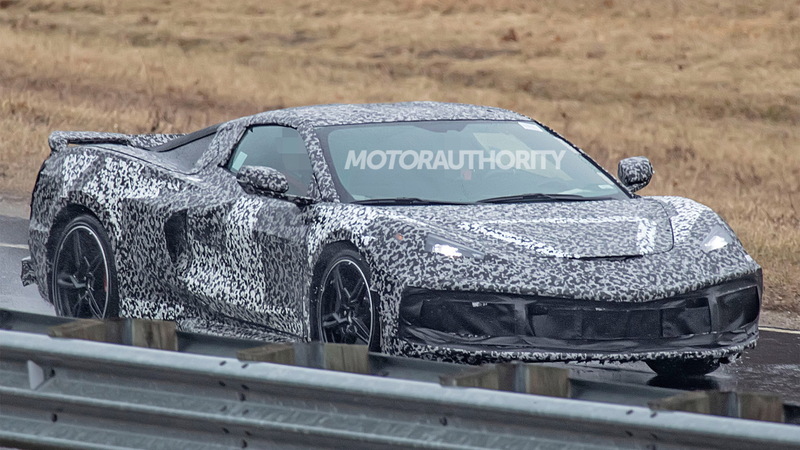 The C7 production would then wind down, and we’d be left with just the mid-engine Corvette in the end. A Corvette should look like a Corvette, not a Ferrari, because it’s a Corvette. A distinctly American halo car we can be proud of. The argument that the Corvette needs to move to a mid-engine layout to crank the performance needle forward might be true, but does it matter? Not if you ask me. There’s still more that can be done with today’s Corvette. It’s that second thought that brings me to my main point. Most of us aren’t race car drivers. 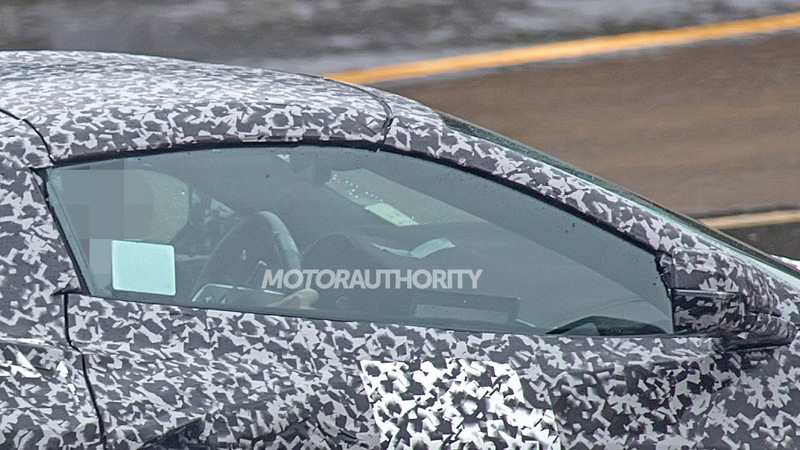 I’m certainly not, but as a semi-skilled driver I can confidently say the 2019 Chevrolet Corvette ZR1’s limits are so far beyond the reach of most drivers (including myself) that it’s just silly. With endless amounts of grip, a deep well of power, and telepathic steering, the ZR1 is a weapon that can slice and dice a racetrack. The C7 Corvette as a whole, and more so models like the Grand Sport, Z06, and ZR1, is damn good and further evolution of that layout could make it even better. The C7’s biggest issue? Like most GM vehicles, it could use a slightly better interior to match its world-beating performance. It also needs more safety features. I have no doubt that Chevy will bake some real innovation into the C8. But a $132,000 2019 Chevrolet Corvette ZR1 can destroy any car that costs less than $1 million, and it will challenge most that cost more than that. That’s incredible, and it’s why we named it the Motor Authority Best Car To Buy 2019. So what’s the point of a mid-engine Corvette again? More performance? More prestige? More allure? Or is it to say GM can build a mid-engine supercar? It’s ridiculous for GM to build a mid-engine supercar with the Corvette badge to raise the performance bar. GM’s already built the ultimate Corvette with limits outside the reach of mere mortals without racing experience, and it can beat European supercars costing well over twice as much. It’s called the ZR1, and it’s on sale at your local Chevrolet dealership today.